In the scenic splendour of Gatineau Hills, just 20 minutes away from the nation’s capital, Mont Cascades offers fun for the whole family! Previously known as Le Beachclub Waterpark, Mont Cascades Mountain Waterpark opened in 1992. The initial phase consisted in a number of slides and pool attractions. Today, Mont Cascades Waterpark is a showcase of water slides and continues to break attendance records. Welcome to the premier family ski resort in the National Capital Region. Skiers and snowboarders of all levels can enjoy Mont Cascades Resort. From beginners to experts, everyone will have great fun on our 20 runs, including 15 available for night skiing. 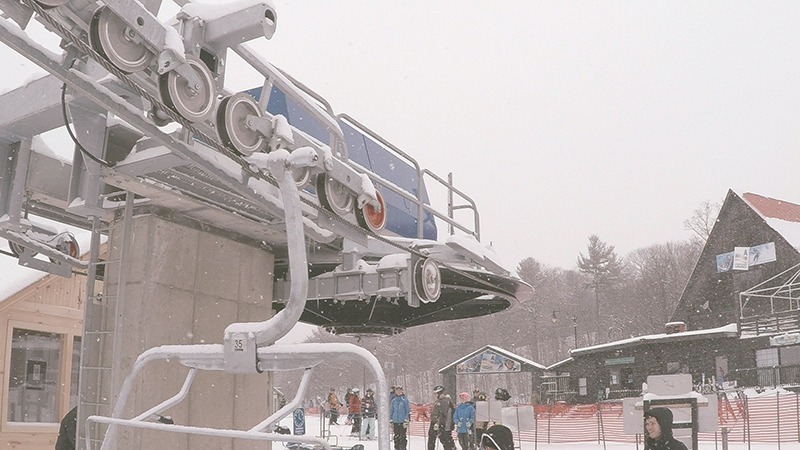 Our 5 chair lifts, including 2 quad chair lifts, will ensure you spend less time waiting and more time skiing! Offering a quality experience to our guests and to our employees in a enchanting environment where fun meets well-being. Become one of the most coveted centres of the area in its sectors (Ski and Waterpark). Why go to Mont Cascades? Our specialized teams work together to ensure that the needs of our 1500 – 2500 daily visitors are met. Fully certified lifeguards and safety personnel are always on hand to make sure the fun never stops. The Mont Cascades Resort food and beverage services staff devote their attention to your palate and provide you with tasty delights. Our hospitality, group and customer service specialists cater to your every wish. At Mont Cascades, we are dedicated to giving you an enjoyable skiing experience. Our online ordering system, our full rental and repair shop and our on-site shopping boutique ensure your day won’t be spoiled by unexpected events or anything you forgot at home. Want to brush up on your skills? Or learn to ski or snowboard? Why not talk to our experts at our snow school? Take a breather and put your feet up in our World Cup Lodge (open on weekends) or our North Lodge, and enjoy a drink or a delicious meal at our restaurant or cafeteria. Lastly, the maintenance services squad and technicians keep the park in perfect working order and make sure that the rides are optimized for maximum thrills and safety. 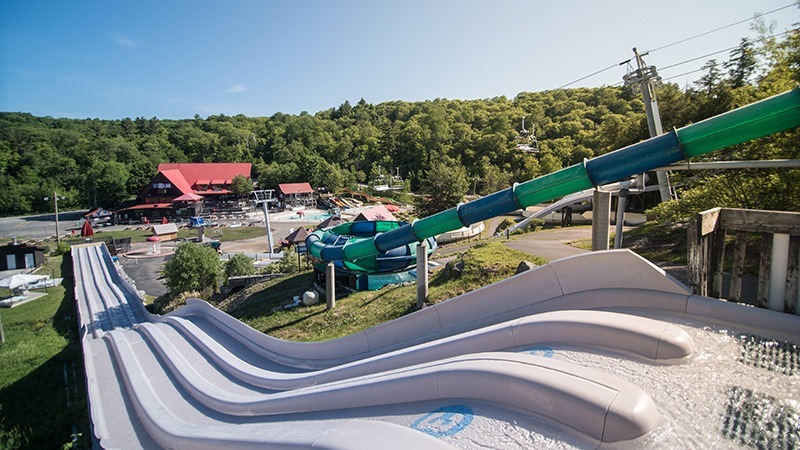 It takes a team effort to provide our valued customers with the kind of quality leisure experience Mont Cascades, Ottawa-Gatineau’s Mountain Waterpark, has become known for. Ticket booth, snow school, equipment rental and repair, ski boutique, cafeteria, and Pub Amigo. On the east side of the mountain, a day lodge with snack bar open on weekends. Canadian Ski Patrol clinics in both North and World Cup Lodges.